Now time in the menu bar is always doubled. I'm using the setting "All tasks - Today" for show time in status item. I'll look into it and let you know. Thank you again, that's a very good find! I have located and fixed the bug in my code. Will release another update including the fix soon. Until then your times will still be recorded and saved correctly. What's incorrect is the display of the time when the timer has been running for some time and the running task has rounding enabled. 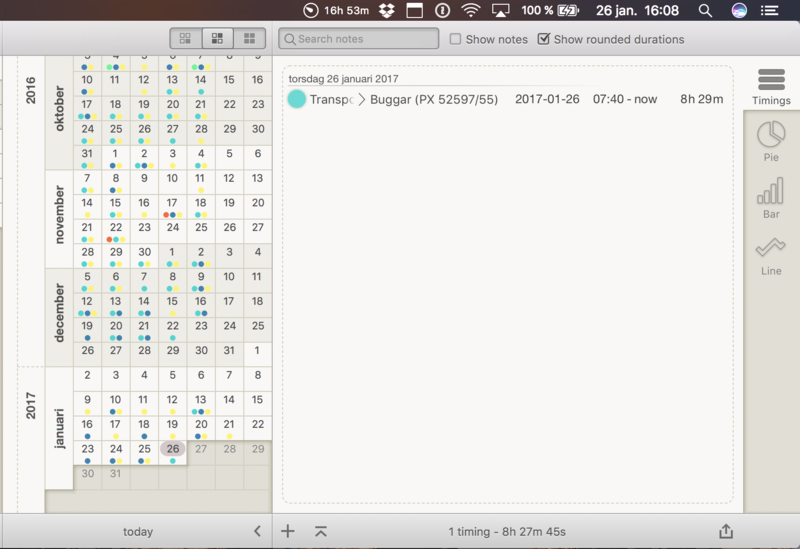 If you want you can turn off rounding of the task to make the time display correctly. If you enable rounding again after the update, it will get applied to all timings of this task. Or you can select "Current timing" for "Show time in status item".